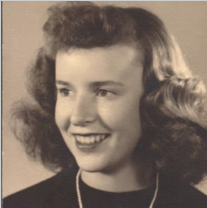 Doris Virginia Driggs Spencer, age 88 of Epworth, GA, formerly of Santa Clara Valley, CA, passed away Wednesday, February 27, 2019. Doris was born August 22, 1930 in San Jose, CA to the late Joseph Milligan and the late Bess Price Milligan. She grew up in downtown San Jose where she attended San Jose High School and San Jose State University. After marrying the late James Driggs in 1950, she moved to Santa Clara where they raised their seven children. Following the death of her husband, she had a long career with Mervyn’s in Santa Clara, CA. In 1988 she met Jack Spencer with whom she enjoyed traveling. In her later years, she moved to Epworth, GA in 2016 where she enjoyed bird watching, antique shopping, wine tasting, meeting new people, visiting casinos, collecting antique dolls, and her dogs. In addition to her parents and her husbands, Doris was preceded in death by three sons, James Driggs, Joseph Driggs and Jonathan Driggs, grandson, Aaron Parks, brother, Daniel Milligan, and sisters, Jolie Tollenaar, Dorothy Yearwood, and Mary Williams. Survivors include daughter, Jolie (Mark) Miller, daughter, Jill (Keith) Parks, daughter, Jackie (Pete) Driggs, son, Jeff (Kristin) Driggs, daughter-in-law, Maureen Driggs, thirteen grandchildren and eight great-grandchildren. 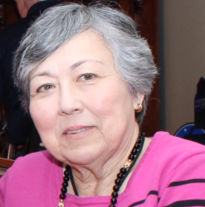 Audrey Steiger, 67, of Marietta, GA passed away on February 26, 2019 at home, after a brave battle with pancreatic cancer. Audrey was born November 28, 1951 in Sapporo, Japan and adopted by her late parents Herbert and Marion Tufts. Audrey retired as an SVP of Human Resources for Assurant Group, where she met many life long friends. While she achieved much success in life, she found her greatest happiness while spending time with friends and family. She cherished her time as grandmother to 2 amazing grandchildren. Although late in life, she was able to learn of, and meet members from her biological family. Audrey is survived by her husband, Carl W. Steiger, her sons Carl (Laika) Steiger and William Scott Steiger, brothers Paul Tufts, Dale Grimshaw, sisters Marty (Tommy) Raffaele, Cindy (Pat) Neverdalh, Wilma Hamilton, grandchildren Lia and Christopher, along with many nieces and nephews. She was preceded in death by her brothers Herbert Tufts, Robert Tufts and Donald Tufts. Services will be held at HM Patterson & Sons Canton Hill Chapel, with the Visitation Thursday, 2/28, from 6:00 pm until 9:00 pm and the Funeral Service on Friday, 3/1 at 11:00 am. 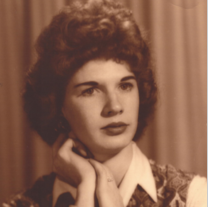 Merilyn Danner Taylor, age 79 of Blue Ridge, passed away Friday morning, February 22, 2019 at the Pruitt Healthcare Nursing Home. Merilyn was born May 19, 1939 in Ducktown, TN to the late Lester Danner and the late Myrtle Dobbins Danner. In addition to her parents, she was preceded in death by her husband, James A. Taylor, four siblings, Clinton Danner, Elice Danner Lee, Charles Winston Danner, and Alyne “Skip” Danner Vandegriff and one niece, Claudette Lee Callihan. Merilyn worked for Tottle Tyke in Atlanta and she retired from the Sears store on Ponce de Leon Av. in Atlanta. Survivors include brother, Gerald Danner; sister, Joyce Danner Harrison; sister-in-law, Sybil Porter Danner; several nieces and nephews, Larry Danner, Teresa Danner Lee, Brenda J. Lee-Koch, Terry Wayne Lee, David Marvin Lee, Ann Danner Easter, Lynn Danner Franklin, Sondra Danner Reeves, Dale Harrison, Kenny Harrison, Derrick Danner, Darren Danner, and Jennifer Danner; and numerous great-nieces and great-nephews. Also four beloved and lifelong friends, Lynda Taylor, Mattie Brown, Jenell Adcock Zuniga, and Lillie Painter. Burial at Zion Hill Cemetery, Turtletown, TN. Mr. Thomas J. 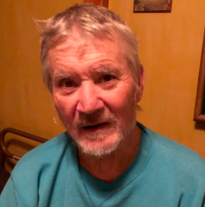 Dean passed away Thursday, February 21, 2019 at his home in Pike County surrounded by his family. Known to most as Tom and “Pom-Pom,” he is survived by his wife of 59 years, Rose Kovein Dean; children, Jeff Dean, Barbara (Todd) Gingerich, Tracy (Richard) Gray, and Amber Dean; 5 much loved grandchildren; 5 adored great-grandchildren; sister, Sue Dean Gilliam; and brother, Louie F. Dean. 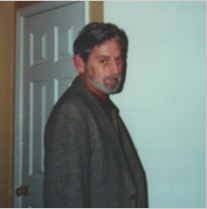 Born in Epworth, GA, Tom was a retired self-employed building contractor. He owned his own company, Dean Construction, for many years and operated in Indiana and Georgia. He moved his family to Pike County, Georgia in the mid-1970s and lovingly built their family home. He loved woodworking, building things for his family, walking on his 40+ acres, westerns, and wrestling. A funeral service will be held Saturday, February 23, 2019 at 3:00 pm at the Henry-Cochran Funeral Home in Blue Ridge with Dr. Tom Jordan officiating. 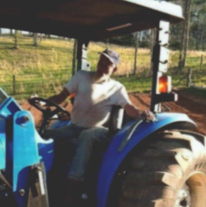 Interment will follow in the New Liberty Baptist Church Cemetery in Mineral Bluff, GA. The family will receive friends on Saturday an hour prior to the service from 2-3 pm. Pallbearers will be Jeff Dean, James Caldwell, Brian Caldwell, Richard Gray, Todd Gingerich, Jeff Jackson, and David Mitchusson. Flowers may be sent to Henry-Cochran Funeral Home. 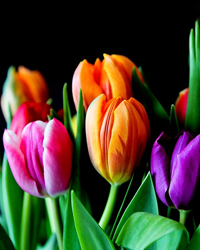 In lieu of flowers, please consider a donation to a hospice agency. 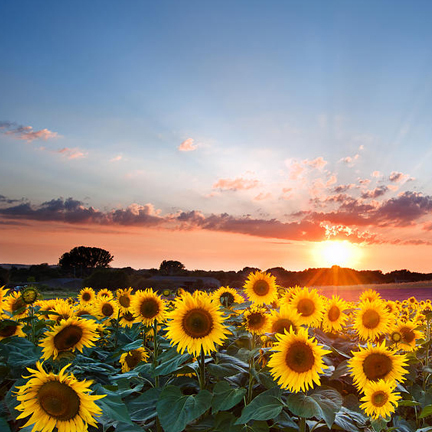 Rose and the entire family would like to thank all the staff and incredible nurses at Eternal Hope Hospice in Griffin, GA.
Irene Payne Allen passed away Monday, February 18, 2019 at the Pruitt Healthcare nursing home at the age of 77 following several months of declining health. Irene was born February 7, 1942 to the late Morris Payne and the late Amy Patterson Payne. She is survived by one brother, James Payne of Epworth, sister, Lorene Payne Clowers of Cleveland, TN, and sister, Christine Payne Cook of Blairsville. Funeral services will be held Thursday, February 21, 2019 at 2:00 pm at the Henry-Cochran Funeral Home with Pastor Clifton Patterson officiating. Music provided by Kenny O’Neal. Interment will follow in the Hemptown Cemetery. Pallbearers will be Clifford Payne, Chris Payne, Tim Payne, Derrick Payne, Zack Payne, and John Payne, Jr. The family will receive friends at the Henry-Cochran Funeral Home on Wednesday evening, February 20, 2019 from 6-9 pm.